Works for EBS TD660 Bass Amp and EBS NeoGorm bass combos. 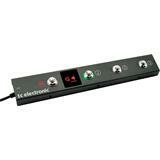 Contain four separate footswitches in one device to control Drive, Character, Filters and Mute. 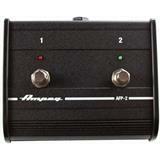 The Ampeg AFP3 Triple Footswitch is a 3-button footswitch with TRS cable for use with Ampeg amps. 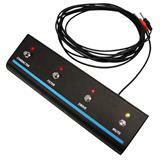 The Ampeg AFP1 Single Footswitch has a 12' cable and an LED indicator. For use with B-3 series amps. 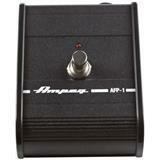 The Ampeg AFP2 is a 2-button footswitch with TRS cable. 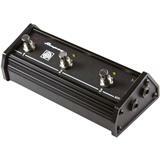 Works with the following Ampeg amps: SVT2PRO, SVPPRO, SVT3PRO, BA210SP Combo, and BA115SP Combo.